Who cares about the Great Barrier Reef? Many people, and according to a paper published today in the journal Proceedings of the National Academy of Sciences, some of the most passionately connected individuals can come from far away places, across the globe. The study, led by Dr. Georgina Gurney of the ARC Centre of Excellence for Coral Reef Studies (Coral CoE) at James Cook University, involved interviews with more than 5,000 people from 40 countries and found that where you live, doesn't necessarily determine what you care about. 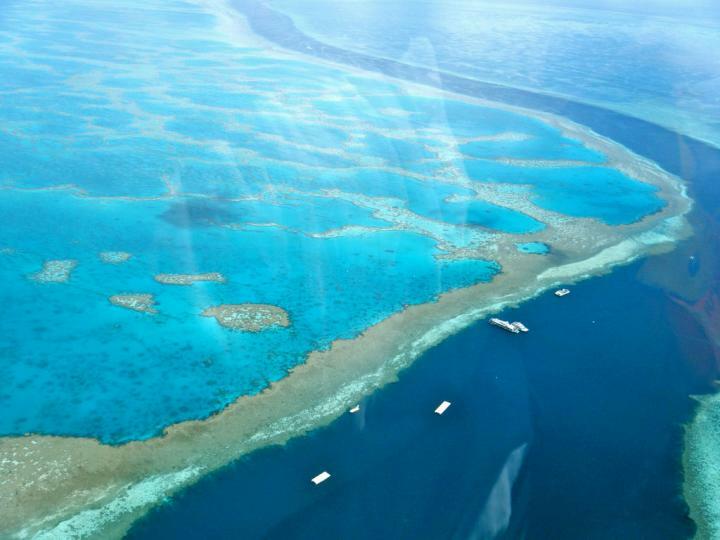 In fact, the data suggests that people living near or far from the Reef can develop equally strong feelings of attachment to the large and iconic World Heritage site. This is good news for the Reef. Blighted by bleaching, the Great Barrier Reef needs all the help it can get. The findings published today suggest that resource managers should draw on the support of the global community, not only locals living adjacent to the Reef, when engaging the public. "It's widely acknowledged that successful environmental management requires strong community engagement and support, but current approaches tend to only target locals. Our findings reveal that this view is too narrow," says Dr Gurney. For the many ecosystems that are increasingly affected by global-scale threats, such as climate change, these results are empowering. "We need to look beyond our backyards for solutions to protect the Great Barrier Reef. Climate change, for example, is one of the biggest threats to the Reef and tackling it requires the support of the global community, not only those living close to the Reef." The study redefines the meaning of 'community' and, in doing so, identifies four new sub-communities, each with a different form of attachment to the Reef. "Our study includes interviews with a diverse group of people – from fishers to international tourists. We found there are generally four types of communities who express 'attachment' for the Great Barrier Reef," says co-author, Professor Neil Adger of the University of Exeter, U.K. "For example, we identified an 'Armchair Enthusiast' community. This group of individuals unexpectedly exhibits strong emotional bonds with the Reef, despite the fact that many live outside the Reef region and even outside of Australia." The authors say that the evidence suggests new types of bonds between people and iconic natural places are emerging that transcend traditional geographic boundaries. If targeted effectively, these bonds may be useful in building the transnational support required for successfully protecting the Reef. "Modern-day problems, need modern-day solutions," says co-author Dr Nadine Marshall of the Commonwealth Science and Industry Research Organisation (CSIRO). "Addressing global-scale threats requires engaging people from all over the world who care about the Reef through modern communication channels, such as social media." "Our results show that declines in the Reef's health may affect people across the globe. So, we suggest that resource managers consider the untapped potential of emerging transnational communities to build broad public support for protecting the Reef." The paper "Redefining community based on place attachment in a connected world" is now available online at: http://www.pnas.org/content/early/recent.